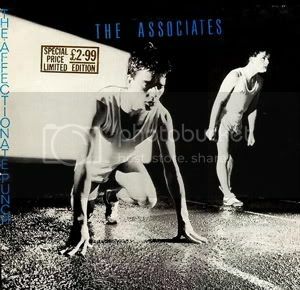 The Associates' first album Affectionate Punch from 1980. Love Billy and everything he did with A. Rankine. His solo album "Beyond The Sun" is one of the masterpieces of modern music, actually a pearl in my record collection. Thanks for that, interesting to hear. I like the more acoustic and open sound of this version, but on the whole I think I still prefer the the remixed version. Now all I have to do is find a decent copy as my old cassette doesn't run too well these days.